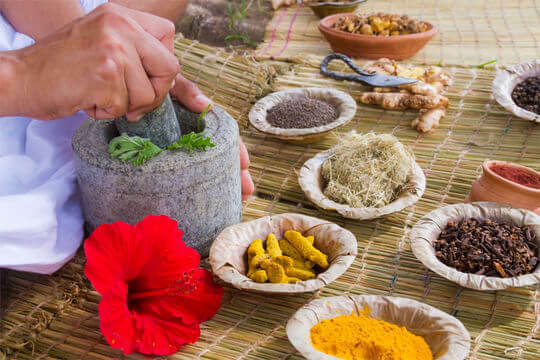 Welcome To Ayurveda | Ayush Herbs | Ayurvedic Herbal Medicine Himalayan-Sourced Ayurvedic Herbs - Ayush Herbs, Inc.
Ayurveda literally means "the science of life." 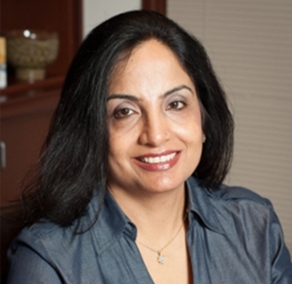 Ayush Herbs, Inc. was founded by Ayurvedic and Naturopathic physicians who believe in healthy living in body, mind and spirit. 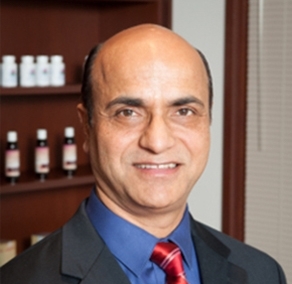 From the very beginning in 1988, they have shared their knowledge of Ayurveda and demonstrated the incredible healing power of Ayurvedic medicine. And knowing how critical it is to have absolute uncontaminated, unadulterated herbal products for the health of their patients, they decided to grow and harvest their own herbs in the most pristine region of India next to the Himalayas. They then developed unique, effective and safe formulations that have become the foundation of the Ayush Herbs’ continued success. Ayurveda concentrates on the source of the patient’s imbalance, supporting the body’s innate wisdom to promote optimal health. Ayurvedic philosophy is the belief that the intelligence of the natural world is within each of us. The body is made up of the basic elements of the universe – ether, air, fire, water, and earth – which are expressed as three characteristic humors (doshas): Vata (ether and air), Pitta (fire and water), and Kapha (water and earth). Ayush Herbs has been known for selling world-class Ayurvedic products. In fact, the herbs that go into Ayush's products have been time-tested, originating mainly from the Himachal Pradesh region of India. All of our herbs are grown and harvested in the most pristine regions of India to the highest quality specifications exclusively for Ayush Herbs,® Inc.. Whether they are grown on our own farms, or specially contracted partner farms, close attention is paid to the health and development of each plant in every aspect, including the overall condition of the plant, the size of the root, and the timing of harvesting to ensure optimal potency and quality. Ayush Herbs®’s herbal products are manufactured in the United States using ingredients grown on our farms or by specially contracted farmers and processed at our state-of-the-art plant in Nagrota Bagwan, Himachal Pradesh, India. The facility is ISO and GMP certified and run under the supervision of Mr. Jitender Sodhi. 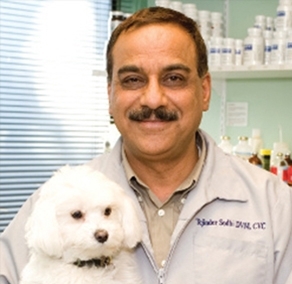 All production is overseen by our team of scientists and Quality Control personnel as well as our doctors. Ayush Herbs® is dedicated to making the world a better place. Whether it is through the care given to the growing of our herbs, the treatment of the people working for us in our fields and factories or by supporting the communities surrounding our growing efforts in India and across the globe; Ayush Herbs® is committed to having a positive impact wherever we do business. 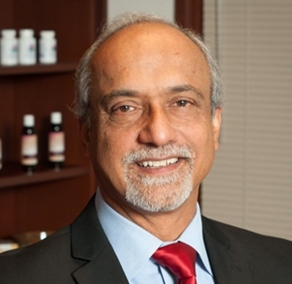 President of Ayush Herbs® Inc.
"An added boost without worry of unnecessary ingredients." Join us for exclusive deals and health tips. From Philosophy To Practice. Visit R∙U∙VED® Natural Supplements for our retail store of Himalayan-grown Ayurvedic products.